Mori Art Museum, Tokyo is presenting artist N.S. 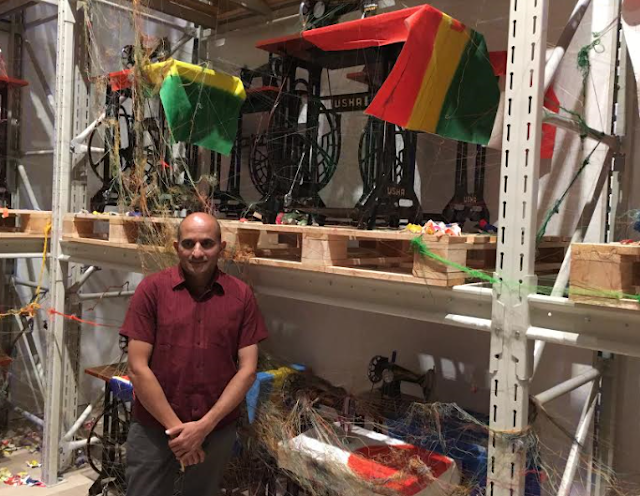 Harsha’s mid-career retrospective exhibition, “Charming Journey” where a grand scale art installation ‘Nations’ with 193 Usha sewing machines is showcased. 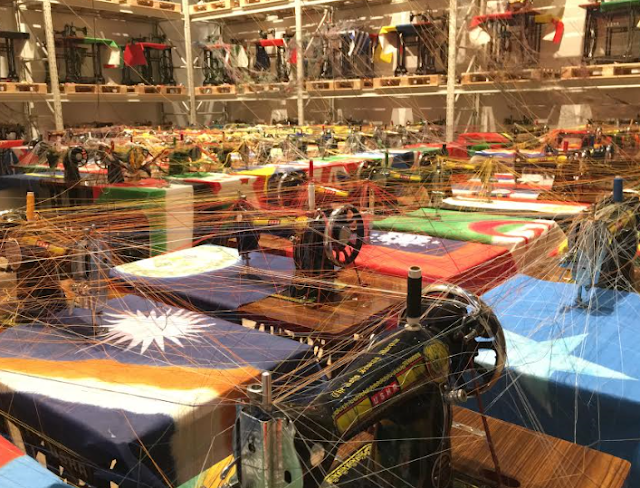 These sewing machines are overlaid with calico painted flags signifying the countries that make up the United Nations. This exhibition has started on February 4th, 2017 and will go on till June 11th, 2017. The exhibition encompass Harsha’s major work since 1995 and explores themes running consistently through his practice. The Mori Art Museum, Tokyo, is proud to stage “N. S. Harsha: Charming Journey”, the first major solo exhibition by the Indian artist, from Saturday, February 4 to Sunday, June 11, 2017. To date, Mori Art Museum has staged both region-specific exhibitions showcasing the current state of contemporary art in rapidly developing parts of the globe such as China, Africa, India and the Middle East, as well as major solo exhibitions by prominent Asian artists.